IoT Design Weekly, the industry source for products, news, and technologies supporting Internet of Things developers. View our archive of past issues of the IoT Design E-newsletter. Let’s take a look at the key features of Bluetooth 5, which will include significantly increased range, speed, and broadcast messaging capacity. The DE0-Nano-SoC Kit is a Cypress V FPGA SoC evaluation kit equipped with dual Cortex-A9 cores alongside a 40,000 logic element FPGA. This powerful development kit provides embedded hardware and software developers (software available through RocketBoards.org for the device "Atlas-SoC Kit") a path for getting started using SoC FPGAs. The kit is programmed through the onboard USB-Blaster II and EPCS128 serial configuration device. Simply including a security intellectual property (IP) block or primitive is not enough to make a system or silicon secure. Security vulnerabilities can still exist within an SoC design due to several design and verification issues that often arise due to varying levels of trust and expertise. 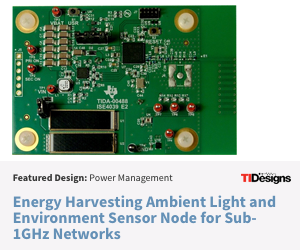 In order to realize efficiencies in cost, performance, and power while meeting the requirements of their customers, chipmakers are turning to semiconductor IP vendors to provide comprehensive yet modular IP solutions for the creation of IoT edge processors. Intellectual property (IP) can be stolen if the data in an embedded product is readily accessible by the next person to possess the product. Possession can be through legal or illegal means. A few examples demonstrate the problems that can occur. The interconnectedness of devices, networks and people will facilitate the delivery of transformative products and services, as well as greater cost savings, productivity, and safety. This increased connectivity, however, also exposes new security threats. What is embedded security exactly, how does it work, and why do we need it? Those are all critical questions to anyone involved in the design of an embedded or IoT device. But hey, if it was easy, everyone would do it, right? Subscribe to IoT Design in print and online.